The new year is upon us, which is essentially synonymous for establishing goals and resolutions for the next 365 days. 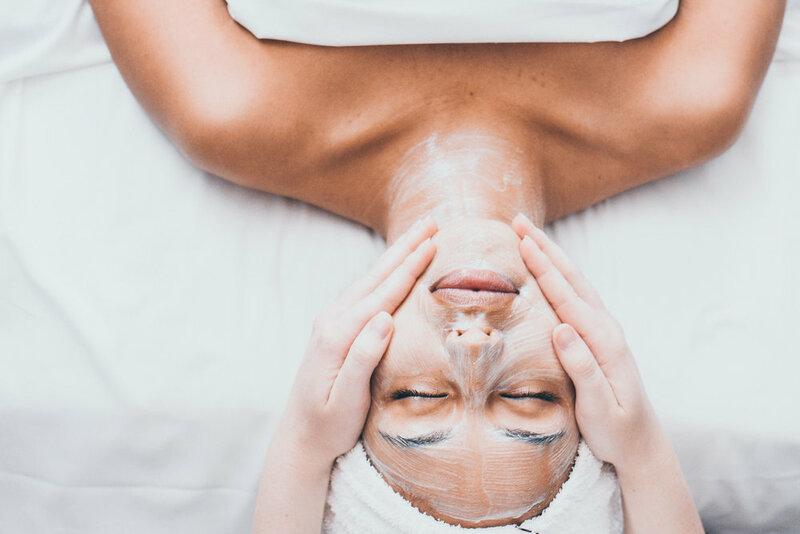 While we tend to aim for losing ten pounds or kicking alcohol to the curb, here at Spa Kingston we wanted to focus on a small change that can make a world of a difference for your skin. This year, make your New Year’s Resolution to treat your skin right and adopt a daily skincare regimen. A skincare routine affects your complexion, as we all know, but it also helps to develop healthy habits that can translate to other areas of your life. If you want to become more proactive and organized, starting with a simple skincare routine is a great way to break through any mental walls that are stopping you. Establishing a skincare routine is dependent on your goals, but it’s likely that you’ll want to include these products in order to maintain clear, glowing, and youthful looking skin. A good cleanser is your first step in the perfect skincare routine. Your cleanser should be gentle, water-soluble and able to remove your makeup. Avoid anything with soap in it—soap’s pH level will dry out your skin. Our favorite cleanser, Face Reality’s Ultra Gentle Cleanser, is the perfect option for almost all skin types and offers a mild and gentle cleanse. Toner is a crucial step in your 2017 skincare regimen. Not only does it remove any oil or makeup residue, it also preps your skin to receive whatever treatments you put on next. The Anecbeta-C Toner from Face Reality is non-alcoholic and helps to clean off any residual cleanser without drying out the skin. It also helps that it smells delicious! Serums are full of active ingredients used for brightening, repairing, smoothing texture, hydrating, anti-aging – you name it. We love SkinCeuticals Retexturing Activator as a daily serum as it helps promote proper exfoliation while reinforcing the skin’s external barrier that blocks germs and buildup from happening. Plus, it’s oil-free so it works well with a wide variety of skin types. This step is just as important as the first and tends to be skipped, especially on cloudy days. No matter what state your skin is in, it needs to stay hydrated and protected from the sun’s harmful UV rays. Sun damage can happen to any skin type so finding a sunscreen that works best for you is key. We always recommend Face Reality’s Moisturizing Sunscreen SPF 30 because it combines physical sun protectants and noncomedogenic ingredients to provide excellent sun protection in a moisturizing formula. Everyone’s skin is different, so keep in mind that this skincare routine may not be best for your needs. That’s why we offer consultations at Spa Kingston so our aestheticians can personally curate a skincare regimen that offers your skin all the love it needs. After your consultation, we’ll work with you to pick out products from our favorite lines and have you leaving confident and ready to achieve your New Year’s Resolution.